This is my practice routine for my 26 month old, I am not sure if this is good , progress is really slow. I am working full time and only have 3 hours of activity time at home. Usually from 7.30pm onwards. 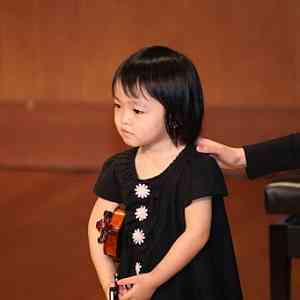 I start off playing the Suzuku Cd 1 and then I request my daughter to take her violin out from the room, out of the case. She would follow and do so. Only to request to rosin the bow.. pluck the strings. Sometimes putting the violin and bow on the wrong hands.. refused to be corrected, sometimes she would put the violin and bow in rest position and bow. Sometimes will put bow on A string and count to 10. sometimes, none of it. The practice usually last the whole of CD1, when the music stops, her practice stop, Then she’ll put the violin back and say ‘bye bye violin, see you tomorrow’. Then , that will be my turn to practise for half an hour. Please advise if any way, how to fine tune the practice. Thanks. I can understand your dilemma. I work as well so time to spend with my kids is really valuable. And if work has been tough it takes lots of patience to make little ones join in practice the way we think it is right (from the grown-ups view). Your daughter is really young! So you do have to give her a chance to get used to the whole thing. Keep it a game. Mine was three and a bit when we started and it took a few tricks to teach her that practice means more than opening the case and giving the violin a hug . I used to get really worked up about it. Especially when she started to “waste time” by being the clown or started to be stubborn. It took me quite a while to learn to handle that calmly. 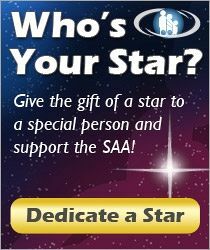 The first thing that struck me reading you post was the time of the day you can get started. I know it difficult when one has to work, but the time of the day is important too. What does your daughter do the whole day before you start your practice time? My daughter is too tired to cooperate after 7 pm. So listening to the CD in the background while preparing for dinner and bed is ok. I have been lucky that I could change my working times to suit my kids better this year so we have moved practice time to 3 pm which is much better (we both are in better moods and not so stressed from the day). It seems to be more fun now too. Does she really focus the whole length of the CD? That would be great. We had sessions of 25 min, but effectively practiced maybe 10. When she was smaller I used to get her to “practice” by telling her this set of notes, etc. has to be done so she can show dad, grandma, teddy etc. how well she can do it. Or to make her repeat the tasks I got five shining beads in tiny treasure box. So to earn the beads she would have to repeat the task five times. At that age to do something 10 times was out of her range. Oh and reward stickers are always a hit. Maybe someof the tips help. My work is not stressful, so I am quite relax during practice in the evening. Since she is really young, a routine, taking out violin and putting back after practice session is kind of a progress to me. In one the of the Suzuki book I read, dont rush practise and dont’ stop.. I always keep this in mind..
sometimes i understand her point of view, to her.. putting a wood under chin is not really fun, i will ‘make up ‘ to her by doing things she likes after practice like ‘kindermusik’ ‘our time’. My daughter stay at home, play with her grandma, sometimes going to the park. she might be tired but really we dont have much choice about the time. She doesnt focus the whole lenght of the cd, but it comforts me , that listening to suzuki cd.. is some sort of practice..
Maybe I will try on the reward stickers… Thanks for typing something back..it sure could be a lonely suzuki journey, sometimes.. I am sure that you are right, that listening to the CD is practice, really valuable. I think it’s okay if your daughter just takes the violin out and puts rosin on the bow. You are starting her young, so she has plenty of time! In her own time she will start to want to play herself, because she sees you playing. Oh, listening to the CD is FANTASTIC practise! It is frustrating when you don’t see any visible progress, but she is learning the songs and it will pay off immeasurably later! One thing I do with this age is: have her hold the violin in playing position, and place a small stuffed animal on the violin beside the fingerboard, and have her look at it while counting to 10. Makes it a little more interesting than just holding the violin. Also—add a number every day; today you count to 10, tomorrow to 11, the next day to 12… she may want to go back to 10 some days but over time her endurance will grow. Would she agree to having a practise sometimes with just the bow? You can do some bowing exercises as practise for that day. Again, this keeps her practising but gives some variety. Great comment already! Keeping it a game cannot be emphasized enough. Remember those first years there is A LOT going in, meaning they are absorbing a lot of information, but not a lot coming out. They aren’t able to immediately reproduce what they learn for quite some time. It’s wonderful that you are doing this with your daughter! Practice are going fine these days, except for the pizzicato which she refuses to do. I think it hurts. 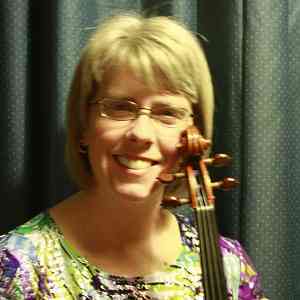 I just signed up for Tweedlewink program, I think that complements with Suzuki violin.